Salzburg has a long Christian religious history and as such has many ancient churches and cathedrals that can still be visited today. 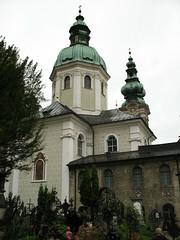 Your trip wouldn't be complete without visiting the Salzburger Dom (Cathedral). Located right in the center of town, the cathedral can't be missed. 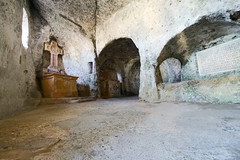 Just a short walk away is the church of St. Peter with its manicured cemetery and catacombs. 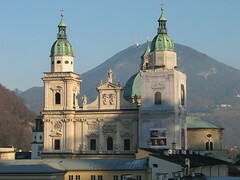 For more information on the churches and cathedrals of Salzburg, see below.